The historical roots of Waltec® date all the way back to 1905. These roots incorporate strong brands which include Galt Brass, Wallaceburg Brass and Cambridge Brass. The introduction of its compression cartridge in 1973, prompted its lavatory faucet to quickly become Canada’s number one selling faucet – providing plumbers with a faucet that was practical, reliable and adaptable to meet many different needs and customer styles. 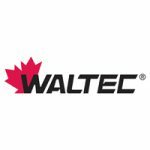 Now, one hundred years after the first faucets came off the production lines, Waltec is still leading the way in providing Canadians with quality faucets at affordable prices. Waltec has earned its reputation as being the “workhorse” of faucets.